America has lost another of it’s greatest heroes as we lay to rest, Lt. Col. Richard Cole, the last living Doolittle Raider! A career officer in the United States Air Force, Col. Cole died Tuesday, April 9, in San Antonio. His daughter, Cindy Cole Chal, and son, Richard Cole, were by his side. 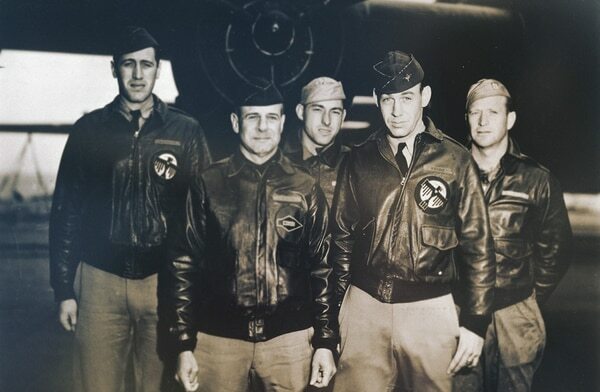 The Doolittle Raiders rallied the nation’s spirit during the darkest days of World War II. Col. Cole was then-Lt. Col. Jimmy Doolittle’s co-pilot in the No. 1 bomber during the daring 1942 raid to strike Japan. Cole was the only one to live to an older age than Jimmy Doolittle, who died in 1993 at age 96. Cole remained in China after the raid until June 1943. He served again in the China Burma India Theater from October 1943 until June 1944. Later, he went on to serve as the Operations Advisor to the Venezuelan Air Force from 1959 to 1962. He retired from the Air Force in 1966 and became the last living Doolittle Raider in 2016. Born and raised in Dayton, Ohio, Cole said he first became interested in flying as a kid. He stated that he would ride his bicycle to the Army Air Corps test base McCook Field and watch the pilots fly. He also said he enlisted in the Army Air Corps in November 1940 because “it was a good job,” especially in the midst of the Great Depression. The Doolittle Raid was the US’ first counterattack on the Japanese mainland after Pearl Harbor. Eighty airmen in 16 bombers launched from the aircraft carrier Hornet, about 650 miles east of Japan, to strike Tokyo. The attack only caused minor damages but the mission was vital to boosting morale on the U.S. homefront in the months immediately following the attack on Pearl Harbor. The attack also sent a very strong signal to the Japanese people that the U.S. was ready to fight back. It also let them know the US had the full capability of reaching the Japanese mainland. Col. Cole was transferred to Columbia, South Carolina, in early February 1942, where he saw a bulletin board notice seeking volunteers for a mission. His entire group put in their names. Thank you Sir, and Rest in Peace! It is so sad to continue to see the few remaining from the Greatest Generation leaving us!